Finally Android 5.1 OTA for Moto X XT1092 is available in various countries. If you are on version 22.121.1, then you can update your phone to Android 5.1 by using the Android 5.1 OTA provided below. You should be running version 22.121.1 in your Moto X XT1092. You should be running STOCK firmware WITHOUT any root or modifications. Charge your phone upto 60%. 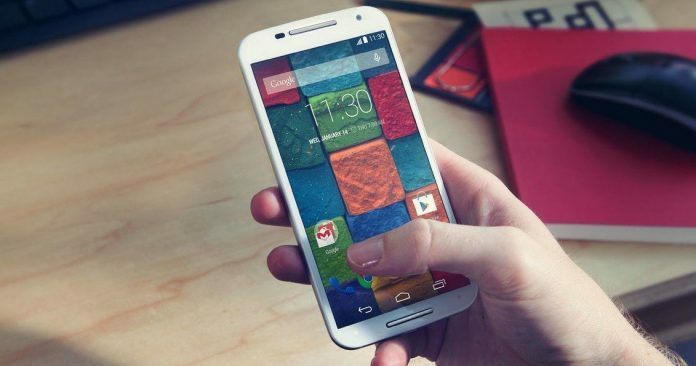 Download the Android 5.1 OTA file for Moto X XT1092 from here. Now place the above downloaded zip file in your phone. Go to Fastboot mode by pressing the Power and Volume Down buttons simultaneously for 4-5 seconds. Now press Volume Down button to select Recovery option and then press Volume Up button to enter the Recovery Mode. Now you will see a Android icon with a exclamation mark on the screen (similar to the image given below). Now press the Volume up button and Power Button for 2 second and release, this will enter into a new Recovery Mode. In this screen select “Install zip file from SD card“, and browse and select the zip file that has been placed by you in the second step. The process will take some time to complete and may stuck for 4-5 minutes, but don’t get panic, it will eventually get completed after 10 minutes or so. After you get the operation successful message, reboot your phone. That’s it, now your Moto X XT1092 is running Android 5.1 Lollipop. 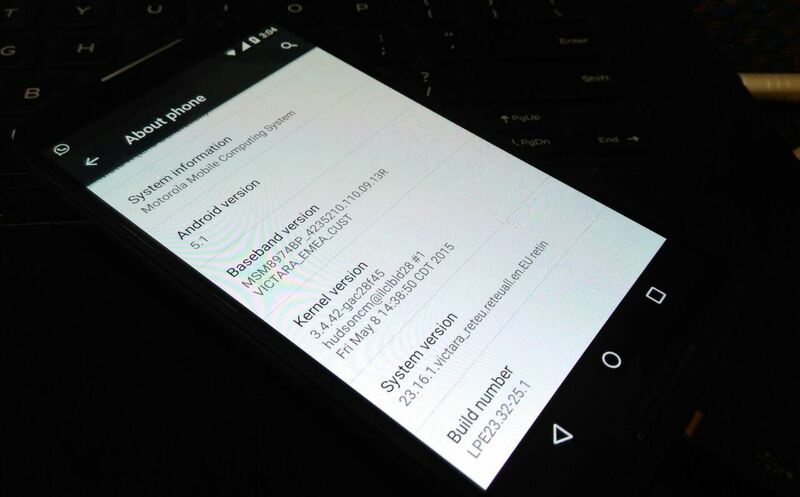 Now that you are running Android 5.1 on your Moto X 2014, you might need to root your phone. Please not that rooting the phone is not necessary and if you are not sure what rooting is all about, you should stop right here. 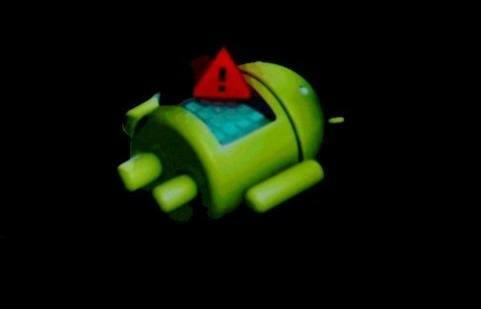 ***Please note that you will need to unlock your bootloader before rooting the device. Follow the steps provided by Motorola to unlock your Bootloader here. Download Moto X 2014 Toolkit from this link. Although it says it is for only Moto X Pure Edition, but rooting function will work perfectly for XT1092 device. Enable USB Debugging in your phone via Developer Options. Select the option where it says Root Android. Press any key to continue and let the toolkit do its work. Voila, after few minutes you are booted into device with the Root access. You can find SuperSU installed and working in your Moto X XT1092. Feel free to comment below if you have any query regarding installing Android 5.1 on Moto X XT1092 or rooting the same. Hello, this tool serves the MOTO G SECOND GENERATION? bike or just x? Greetings! Its only for Moto X2. Does this also work for 5.1 on xt1097? Most probably yes, but I am not 100% sure..
Do I need to download the programming on a computer to be able to root, or download the file straight to my MOTO X? I tried the toolkit to root my XT1092 device, but it doesn’t work. Is it necessary to unlock my bootloader or something? Because I haven’t yet, and you didn’t mention it in the context. Yes it is compulsory to unlock bootloader. I am extremely sorry that i did not mention that it is necessary to unlock bootloader. I have updated the post. Do you know if there’s a way to unlock the bootloader for a Republic Wireless variant on 5.1? Because that model is not able to be unlocked via Motorola’s website. Please let me know. Thanks. There is no way you can unlock the bootloader of a Republic Wireless variant.